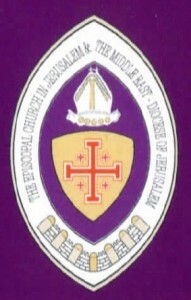 Canon Sir Tony Baldry: Like any Anglican cathedral overseas, St George’s cathedral in Jerusalem is financially independent of the Church Commissioners. However, I would hope that everyone possible would support the work of the friends of St George’s cathedral in Jerusalem, a UK registered charity that has the Archbishop of Canterbury as patron. Jeremy Lefroy (Stafford) (Con): I thank my right hon. Friend for his answer and join my hon. Friend the Member for Bury North (Mr Nuttall) in paying tribute to the work that he has done as the Second Church Estates Commissioner. On a visit with the International Development Committee last year in the area, I had the privilege of being invited by my constituent, Mrs Hifsa Iqbal, to an interfaith conference hosted by St George’s cathedral in Jerusalem. May I encourage the Church Commissioners to look at the very important work that St George’s is doing in the middle east and see what support they can give? Canon Sir Tony Baldry: My hon. Friend makes a good point and I entirely agree with him. St George’s cathedral in Jerusalem seeks to support everyone in need irrespective of their faith, but its support for Palestinian Christians is particularly important as they often feel themselves to be twice a minority. It is a sad fact that the number of Christians in the Holy Land has dwindled significantly in recent years, so I hope that we will all do what we can to support the work of St George’s cathedral in Jerusalem, and the schools and hospitals that it runs for everyone in the west bank and in Gaza. Duncan Hames (Chippenham) (LD): That is indeed a sad fact. I was fortunate to be able to join worshippers for evensong at St George’s cathedral in Jerusalem and I still remember the prayer that evening, that we should pray not just for the Israelis or for the Palestinians, but for ourselves—that we should not separate them in our prayers. Does that not illustrate the vital contribution that St George’s can make to both civic and spiritual life in Jerusalem?